Chicago Police Department released body cam footage of an officer fatally shooting an armed man Saturday on the city’s South Side. 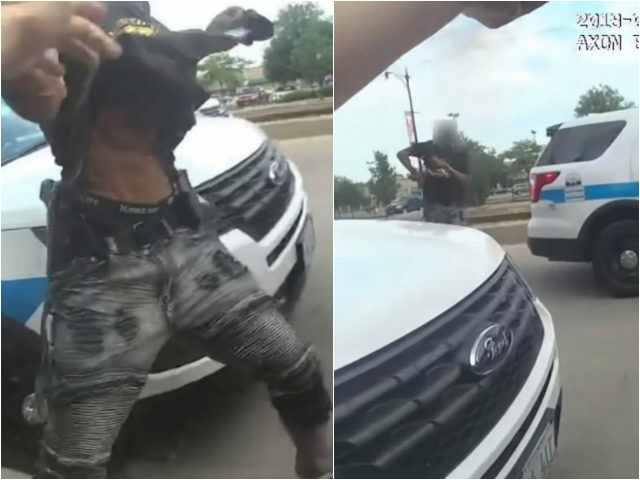 The man, 37-year-old Harith Augustus, appeared to be carrying a semiautomatic handgun and extra magazines for the gun under his shirt. Body cam footage shows police approach him and move him close to a police car. Augustus can then be seen allegedly reaching for the grip of his gun as he appears to run around the vehicle. The Chicago Sun-Times opinion column reports that Augustus had a Firearm Owners Identification (FOID) card, but could not confirm whether he had a concealed carry permit. It should be noted that a FOID card allows Illinois residents to purchase a gun for home defense but does not allow them to carry one on their person.